Using an espresso machine is still the best way to make a traditional and fantastic espresso, but that doesn’t mean you absolutely have to have one in order to enjoy this type of coffee. First, let’s take a look at what exactly is espresso, then let’s explore a few different methods for making it without an expensive machine. A roast for espresso is typically very dark and bold to give it an intense taste. Espresso grind is the second finest grind after Turkish coffee grind and this also yields to its intense, bold taste. Espresso machines use a strongly pressurized system to push hot water through the grounds, which again further extracts the most intense flavors from the coffee. So you can see why an espresso machine is still the best way to make a true espresso. However, if you’re not a purist, there are still ways to get a comparable cup of espresso without a machine. One way of making espresso at home without a machine is to use a French Press. Start by using very finely ground coffee with a bold dark roast. If you can’t find something labeled espresso roast, you can also use Italian or French roast, just make sure it’s ground very fine, almost like powder. Heat water just below boiling and add coffee grounds to your French press. You might want to add near double the amount your normally use for a pot of coffee. Pour a little water in with the coffee and allow it to blend for a minute or so, then add the desired amount of hot water. Stir the coffee and water together and then let it steep for about four minutes. You can let it sit even longer if you want it to be stronger. After steeping, slowly lower the plunger and then you’re ready to serve your French press espresso. 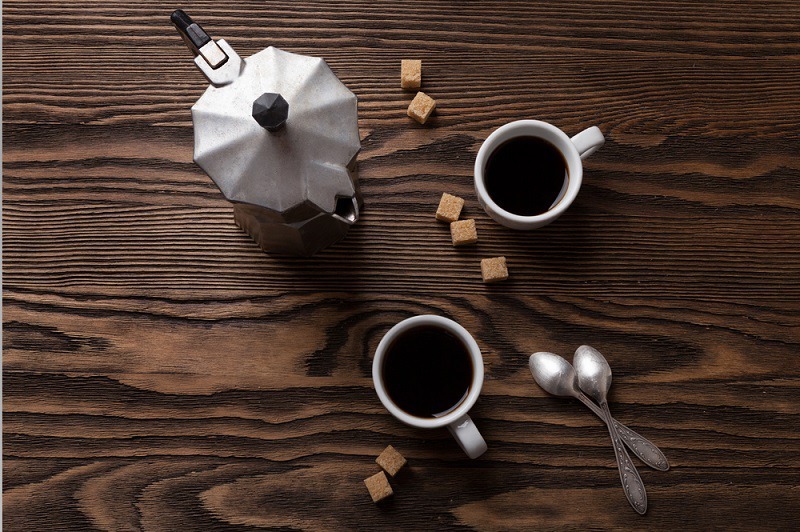 A moka pot, or Italian stove top espresso maker, is probably the absolute best way to make an espresso without a fancy machine. It actually provides a similar amount of heat and pressure to make a drink very similar to machine espresso. Like the previous method, make sure you have coffee that is marked espresso or something similar. 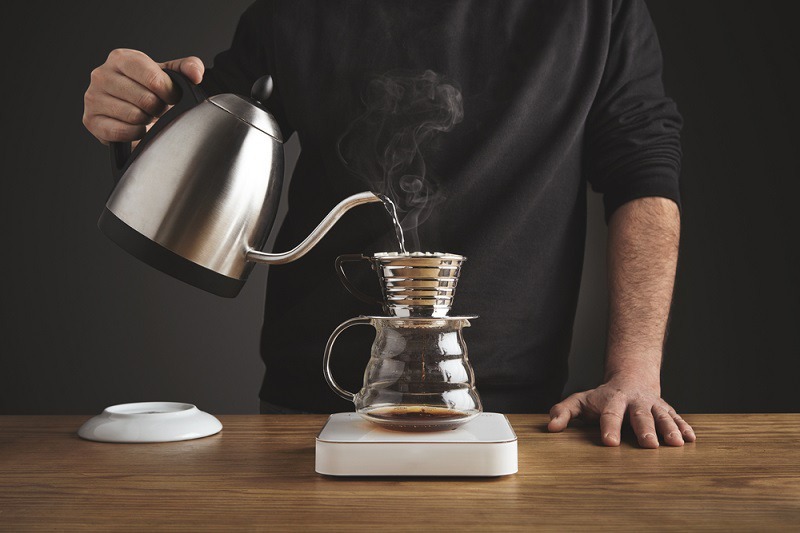 The next step is to boil water in a kettle and then pour it into the bottom part of your moka pot. Add the desired amount of coffee to the filter basket and then attach the spout top of the pot. Place the moka pot on a burner with medium heat. The water will eventually boil and cause pressure, which will push coffee through the top chamber. You will hear a hissing sound when the process is complete. 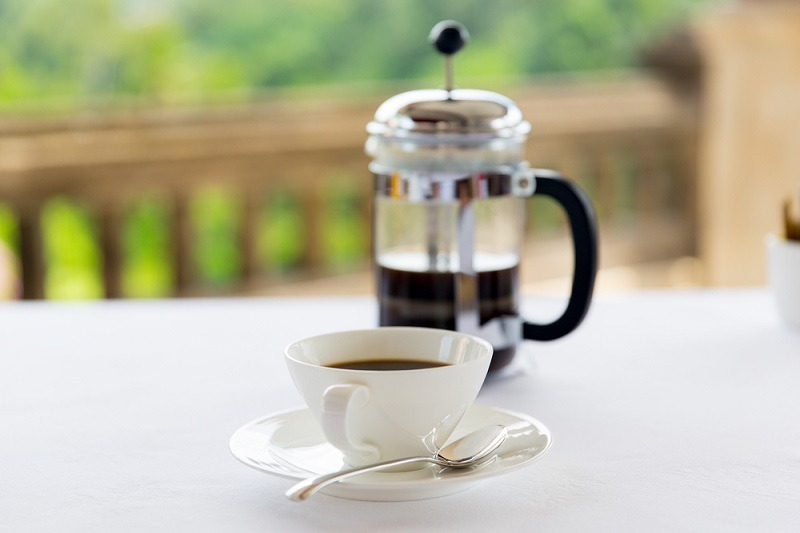 There are a few other methods that can make similarly strong coffee like espresso. In a pinch, you can use super fine ground coffee and double the amount in your drip coffee maker. This method will yield a strong, intense brew. Another method would be to use a Keurig 2.0 brewer with a dark, bold coffee pod. You can set the brewer on the smallest cup amount and hit the ‘strong’ option as well. This is sure to give you an intense cup of coffee. 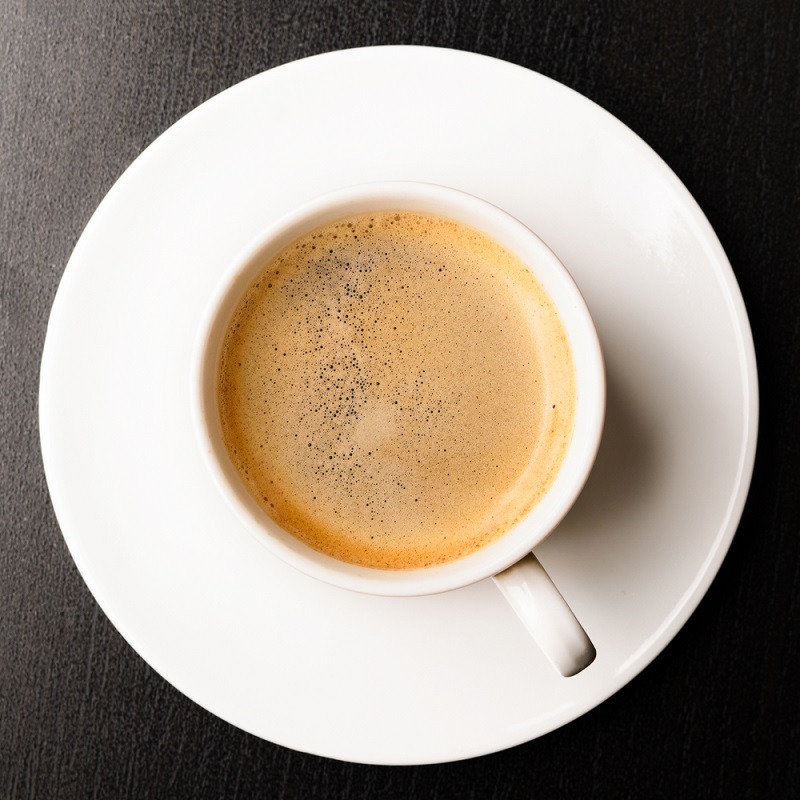 Instant espresso powder also exists and you can use your desired amount with two ounces or so of water to give yourself a small, but intense cup of joe. Another quick method is to use the Aeropress system, which allows you to easily adjust the strength of the coffee depending on how much water you add at the end. Now, suppose you want to make another espresso drink other than the usual espresso shot or Americano. The first step is to make your espresso “shots” with one of the methods described above. The next step is to make some hot, foamed milk. There’s a couple of different ways to do the latter. The first, and easiest, way is to pour milk into a jar with a lid. Only fill it about halfway and then shake it as hard as you can for about a minute. The milk will double in volume and become frothy. Remove the lid from the jar and microwave it for 30 seconds. This will cause the foam to rise, which allows you to hold it back with a spoon when pouring into your espresso. Then just top with the foam and you have a homemade latte. Another way to do this would be to heat the milk slowly over the stove while beating intensely with a wire whip, but the microwave version is easier and less labor intensive.